MANILA, Philippines — Kapuso actress Yasmien Kurdi is set to graduate from Arellano University this April with a Political Science degree. In her Instagram account, the “Starstruck” alumna posted her graduation photo wearing a white Filipiniana dress. “Little girls with dreams become women with vision. #Filipina,” she wrote. 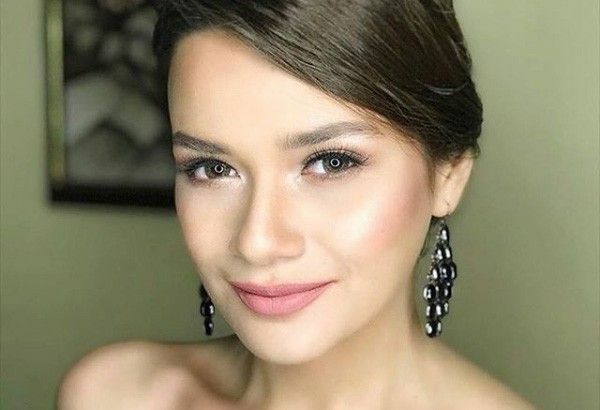 Celebrities such as Sue Ramirez, Angelica dela Cruz, Rita Avila, Kyline Alcantara, Dianne Medina, Valerie Concepcion and Gina Alajar, to name a few, congratulated Yasmien on her milestone. “Congratulations Yas!!! You are an inspiration to many of your fans and colleagues… keep up the good work… cheers,” Gina commented. Apart from being a college graduate, Yasmien also shared on her Instagram story that she has been the recipient of Outstanding TV Actress of the Year from the Laguna Excellence Awards 2019. “It is such an honor to be (recognized) by the Laguna government thru Laguna Excellence Award. I am very much humbled and inspired to continue to do my best in my chosen field and career,” the “Hiram na Anak” told GMA.